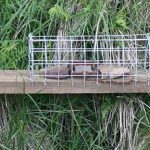 THE RSPCA yesterday appealed for information after a dog was caught in a trap apparently meant for foxes. The 19-month old German shepherd dog called Penny was unhurt in the incident in Gateshead, but the society is concerned about what might have happened if she had not been found. RSPCA chief inspector Michelle Charlton said a dead rabbit had been placed inside the trap to attract animals. The trap was “indiscriminate” and so would have caused suffering to whatever ended up inside it, the inspector added. She said: “The trap was essentially a cage with bait inside and a door that shut tight once the animal ventured in, preventing its escape. 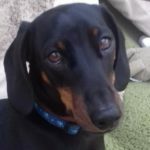 “Luckily, in this case, Penny was only there about an hour before being found but obviously the situation could have been very different. The trap was hidden in bramble bushes in a field behind Salcombe Gardens in Low Fell. 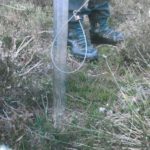 Chief Insp Charlton said that the bait used was a dead rabbit, which indicated the target species was likely to have been a fox. “Obviously, a trap of this kind is indiscriminate and has the potential to cause unnecessary suffering to whatever ends up inside it, ” said Chief Insp Carlton. 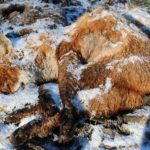 Anyone who can help should contact the RSPCA 24-hour cruelty line 0300 1234 999 and ask to leave a message for Chief Insp Charlton.